Thanks for mypenandme for nominating me for any or all of three blog awards. Accepting all three seems selfish so I picked the one with the prettiest widget: Very Inspiring Blogger Award. I love the old fashioned styling. 1. My toenails are always painted. Have been since I was in 5th or 6th grade. 2. I love Law and Order, especially SVU. 3. Everyone in my extended family drives a Toyota. 4. I love NPR’s Fresh Air. I listen to every episode. 5. 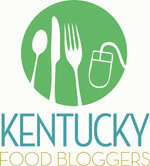 I am going to the FoodBlogSouth 2013 conference in Birmingham. 6. I am reading the new Thomas Jefferson biography by Jon Meacham. 7. I prefer winter clothes over summer clothes but I certainly like the summer season better. There are so many fun things to do in the summer! Be sure to check out these awesome blogs! They are mostly food related but each of them is unique and wonderful in their own way…. Happy Saturday! Congrats to you on the well deserved award and thank you too for passing on the “lurve”! I´m with you on the painted nails 🙂 And is the Toyota thing intentional or are you huge shareholders?! On No. 6, I will try not to spoil the ending for you. Ha. Congrats and what a great lineup of blogs you picked. I’m completely chuffed. Thanks so much for the kindness. Congrats on your award & thanks so much for passing it on to me, that’s lovely! Just in time for Christmas!! You are most deserving…. Merry Christmas!